Off-road, off piste and off the scale. The legendary Bog of Doom, Hills of Hell, and Lucifer’s Lido await. Mother Nature at her cruellest. Bless! A running event? Perhaps. A unique running experience? Definitely. 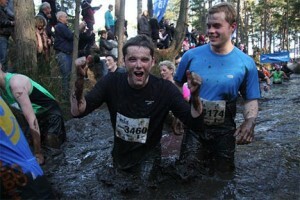 Longmoor Camp- home of the original HellRunner event. Much copied but never equalled. And now wilder and wetter, hillier and hellier than ever. A heady mixture of hills, water features and sand-sapping ascents… served ice-cold if you please. 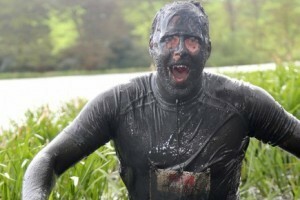 It’s tougher than Tough Mudder and grimmer than the Grim. Oh yes. If running was an animal it would be a dog. Let’s just say HellRunner is part of the dog’s undercarriage. It really is that good! 2000 lost souls will face an epic endurance challenge laced with theatre, music and pyromania. Naturally devilishly good fun. 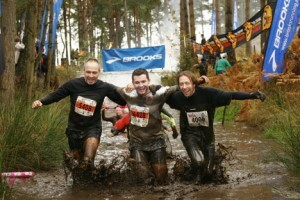 Brooks are the title sponsor of HELLRUNNER. They have a great range of Running Clothing and Accessories to help keep you warm and Trail Shoes to keep you on your feet during the race.